Guiguisuisui has been amusing and bemusing me for nigh on a year now. This neo-colonial (I sure hope he doesn't mind my saying that) bluesman is a British expat living in a dingy industrial city in the bleak steppes of Northern China. I can't imagine it's much fun, but Guiguisuisui made his own fun -- literally -- with a bo diddley made out of a skateboard. 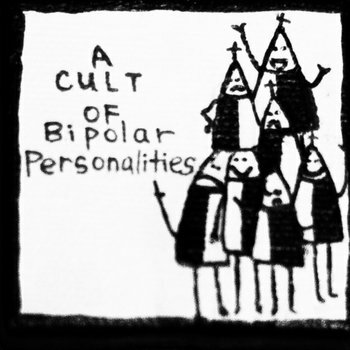 A Cult of Bipolar Personalities is Guiguisuisui's homecoming. It includes some songs that appear to be recorded live in Dartford, England. This music is grungy and raw and you'll find yourself picking weird things out of your teeth afterwards. His rendition of "John the Revelator" is spooky and impassioned enough to raise the dead. And it's definitely better for the Chinese economy than opium was.